Cortes holds that media is an educational force that imprints, reinforces, and perpetuates social constructs.In his words, they "contribute to the construction of beliefs and attitudes about diversity" (p. 23).He provides suggestions and frameworks for educators to enhance media literacy, such as conducting a self-assessment of one's own exposure and reactions to media, evaluating what students have already been taught by the media about cultural groups, incorporating mass media as a curricular resource, encouraging analytical thinking, working with parents, and working with the media. He discusses a point of concern that I share: studies of media treatment are frequently unigroup and do not compare treatment across groups.He states, "while a unigroup analysis can suggest such treatment patterns, only a comparative analysis can confirm it" (p. 54).More comparative analyses leading to cross-group dialogue are certainly needed to gain diverse perspectives. 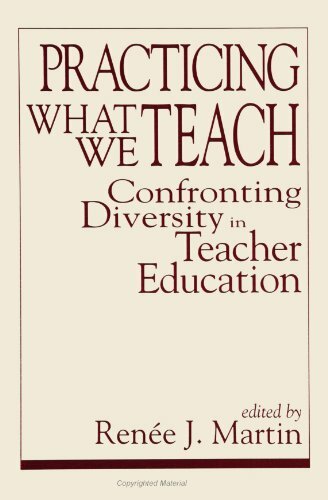 This text is an excellent resource for multicultural education. I read this book in context of a college course, and I found that Cortes makes a clear statement about how media can affect our perceptions on race, culture, gender, etc. Cortes was good at keeping his personal beliefs out of the book, while still using personal stories about his grandchildren to make examples. This was a clear, concise, easy read. During the fall of 2001 I had the privilege of interviewing Dr. Cortes by telephone about his 30 years of experience in working with the issue of diversity.This book is a reflection of Dr. Cortes' commitment to proactive approaches to the inevitable conflict that results between groups that see/perceive the world differently. He is an uncommon voice in the all-too-common world of media.His assessment is that diversity is 'informally' taught through popular media in an uncoordinated manner to the detriment of our children is accurate. His advocacy is hardly limited to his own ethnic background, and his insistence that there must be limits to tolerance is refreshing in current times of political correctness. This book should be read by educators, parents and media professionals. Even though as a media literacy teacher of African descent I disagree with some of the conclusions Carlos Cortes makes in his book, I appreciate that he has written it. In a very lucid writing style, especially for anacademic, Cortes demonstrates how multicultural issues do indeed exist inmainstream media. He provides in one chapter his example of amediajournal he kept in which he records and comments on the multiculturalcontent found in his day-by-day (for a month in this case) encounters withmostly mainstream media. He reads stories about immigration andnaturalization, Dr. Laura Schlesinger's observance of Rosh Hashannah, aLatino columnist discussing "the importance of multiethnic rolemodels," the Promise Keepers, Louis Farrahkhan and his call for anational day of atonement, the antibilingual initiative in California, theMillion Woman March, Sports Illustrated stories on racism, etc. This is auseful strategy for helping students make conscious use of the media. Sooften students are led to believe there's nothing there except crime andpolitics. Basically, Cortes contends that diversity issues are raised inthe media. 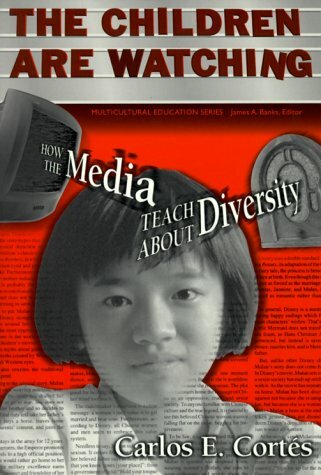 That media is a source of non-school multicultural learning. Butwhat is needed is an analysis of how young people respond to such mediacontent. He shares some of his grand daughter's responses to movies likeThe Lion King and Pocahontas. Despite the valid criticism these mediapresentations received, he sees them as occassions for multiculturalawareness. For him, the media and the public school system play similiarroles in providing multicultural education, but they each do it slightlydifferent ways. He also argues that students need to be taught how toexamine media texts in a critical way--not in terms of bashing media, butin making a critical analysis of its presentations. This means thatteachers need to bring media into the classroom and not allow it to be themain teacher of diversity issues. For in many ways, he argues, studentslearn more about diversity issues from the media and society than they dofrom the classroom. While I think it's important that he brings thissomewhat positive view of mainstream media, I think he should have providedan analysis of what ethnically focused and genered-focused media are doing.In publications like Ms.Magazine, Emerge, Hispanic, ColorLines, and the newAsian American magazines diversity issues and representations are very muchpresent and often provide a very different analysis than mainstreammedia. Lastly, I was disappointed that he didn't address the role ofcorporate media and mergers and how it marginalizes and makes difficult fora true diversity of voices to get heard. While yes diversity issues areaddressed, they are often presented in sterotypical ways or from verylimited viewpoints. While mainstream media, for example, has covered issueson immigration or bilinqual education, it is usually from a Whitemainstream point of view. Progressive writers, reporters, and actors inthese issues don't get their own shows and columns in mainstream media toexpress their views. I'm sure Cortes has read the such critics as RobertW. McChesney (__Rich Media, Poor Democracy__) who show how corporate mediaand its commercial driven interests help to essentially erode democracy anddiversity in this country. I can't understand why he doesn't address thisproblem in his otherwise useful book. I nevertheless recommend this book.It's very useful for media literacy teachers K-College. Not too many workson this subject exist and this one is sure to help lead to future researchand analysis.